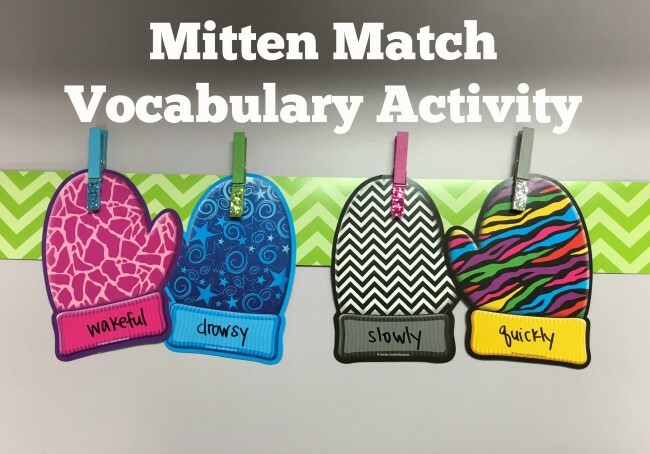 This mitten match vocabulary activity is a great winter-themed lesson that will help students identify vocabulary words and will teach them about pairing opposites. This activity is based on The Mitten by Jan Brett. Write a vocabulary word from List 1 on a left mitten accent. Write down the opposite vocabulary words from List 2 on the right mitten accent. Hang border trim up on a bulletin board or lay flat on a table. Set aside clothespins. Students will need the clothespins to hang the mitten accents. 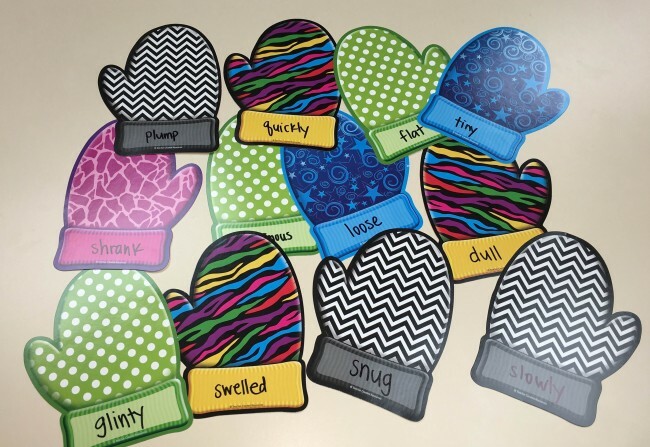 Mix up all the mitten word accents and have the students identify two vocabulary words that are opposites. Have the students hang the two opposite mitten word accents on the border trim using clothespins. 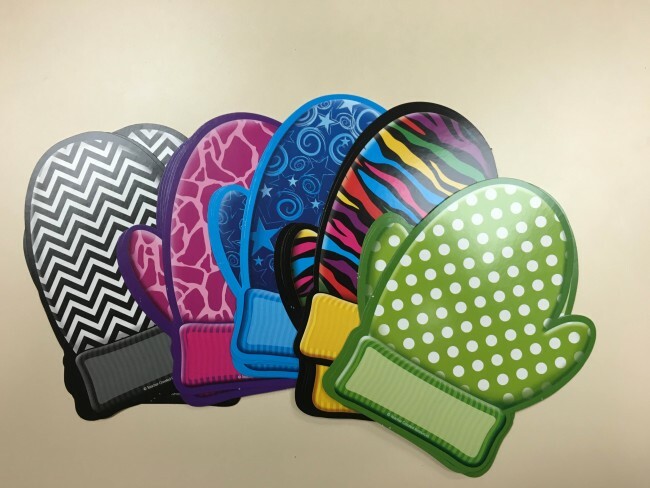 Download the free Sample Pages of A Guide for Using The Mitten in the Classroom here. See more winter activity ideas here.